You are here: Home / Sports / Cycling / Pro cyclist Alison Starnes: The wind has its reasons. 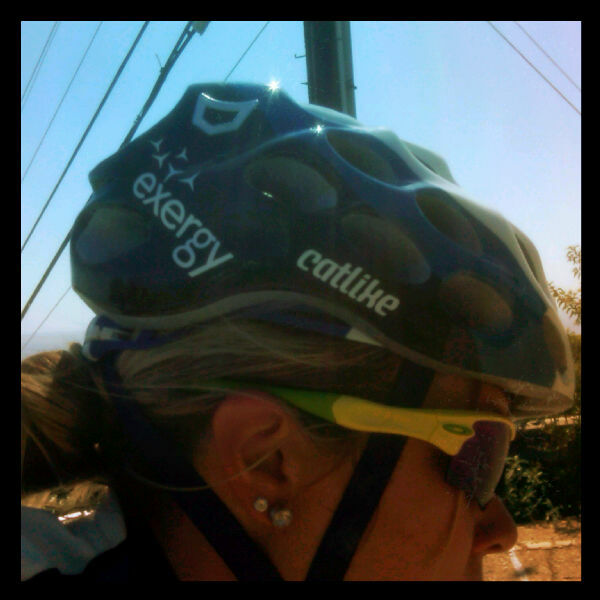 Pro cyclist Alison Starnes: The wind has its reasons. The wind has its reasons. It isn’t seen, but it is felt. Yesterday, the wind had a specific purpose as it swept down from the north, clearing out the clouds briskly and introducing a new season. Well, hello, Spring. Happy Spring. First day of Spring. Although the rains may still come, and will, it is now the vernal equinox and the hills of Marin are filled with green grass and orange poppies. Amongst the blustery weather yesterday, it was a fight against the wind. The fight to not get discouraged. The fight not to surrender to the wind. Yet instead, know that the wind has its reasons and relish in that . It was a time to notice the color of the green grass, that just “popped”. The type of color you just want to bottle up and make a sundress out of. The type of color you want to recreate and paint a room to bring back that specific feeling of warmth and elation. The type of color that you can never capture, but only let it live in your mind and memory. The color was complimented by the yellows, oranges, blues and browns. What color of shoes would I wear with this dress? Why, yellow of course. The more color the better. Why does this remind me of my Oakley Radars? Regardless. It was a turning point. Fight the wind, or just understand it has its own reasons. Take that turn South, and experience the leg speed, the bike momentum, and the entrance of a new season. However, with a wind like that, why fight it? I didn’t. There is plenty more opportunities to fight. Yesterday, it was just about harnessing that wind down the coast, and just had to get a ride back up to where I started… It was a luxurious way to welcome Spring, and know that some fight is worth it, and sometimes you just need to change your route to enjoy accordingly without the fight. You don’t always need to know the reasons. The wind may not either.